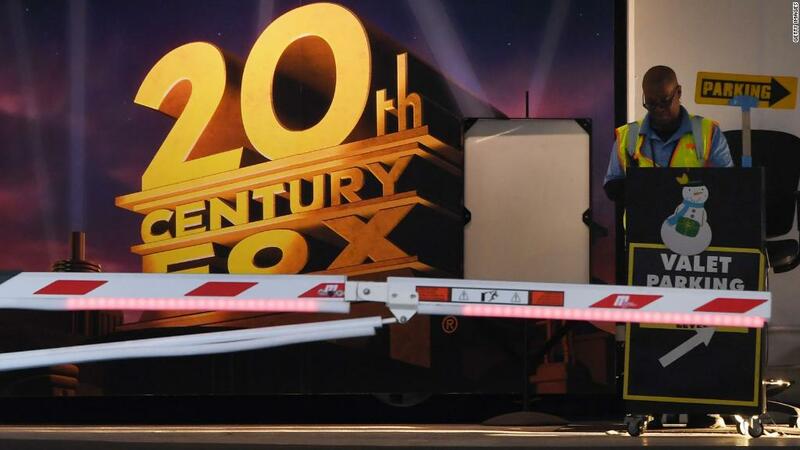 Disney won the battle to purchase most of 21st Century Fox. Now it's getting ready to fight the streaming wars. Disney CEO Bob Iger on Tuesday outlined some of his plans for Fox's assets during the company's first quarterly call since shareholders approved the $71.3 billion deal last month. One thing is clear: Disney (DIS) will be giving more resources to its shiny new prize. And it expects the Fox (FOXA) content to play heavily into its plans to compete with other streaming services like Netflix (NFLX). Once Disney closes the Fox deal — it still needs to gain approval from international regulators — it will inherit Fox's movie studio, including its "Avatar" and "X-Men" franchises, as well as the Fox Searchlight division, which is responsible for the studio's most prestigious films. That's a lot of extra content for a company that already has ambitious streaming plans. Earlier this year, Disney launched ESPN+, its first streaming platform. Next year, it plans to debut a family-friendly service that will feature shows and movies from its Pixar, Marvel, Disney and Star Wars libraries. Iger said that Fox brings "even more opportunity to create original programming" for that platform, too. Iger said Tuesday that he doesn't see the need to combine all of that content into one package. Instead, Disney will have three options for customers: sports with ESPN, family-friendly with Disney, and Hulu, which now appeals to a more general audience. "They will basically be designed to attract different tastes and different segment or audience demographics," Iger told investors. He added that Disney could potentially package all three together if there is demand. The highly anticipated Disney service is widely expected to be a competitor to Netflix when it launches next year. But don't expect it to have as many programs available at launch. "We feel that it does not have to have anything close to the volume of what Netflix has because of the value of the brands and the specific value of the programs that will be included on it," Iger said, adding that the price will also reflect the smaller library. Iger's lofty goals for the company were laid out during an otherwise muted quarter for Disney. The company failed to meet Wall Street's expectations on earnings and revenue, sending the stock down as much as 2% after hours. Trip Miller, a Disney shareholder and managing partner at Gullane Capital Partners, told CNNMoney before the call that he's hopeful for Disney's efforts right now. The mix of family, adult and sports content should help the company diversify. "If you are competing against Netflix, and that's the target, Netflix doesn't have sports, they don't have the content — obviously Disney's pulling away from Netflix in the coming year, which hurts on the family side," Miller said. Iger declined to discuss Sky, the company's other takeover target. The European broadcaster is a leader in pay TV in the United Kingdom and other markets, including Germany and Italy, and could help Disney expand its footprint abroad. Disney hasn't bid directly on that company. Its efforts so far have been unfolding by proxy through Fox, which has agreed that it would sell the company to Disney if it succeeds in its takeover bid. The companies had until the end of Thursday to take action on Sky. Comcast has already offered £26 billion ($34 billion), the highest offer. On Tuesday afternoon, Fox formalized a previous offer it made for Sky of £24.5 billion, or about $32.5 billion. That effectively extends the deadline it has to top Comcast's bid until September 22. Winning would be a big deal for Comcast, which tried to buy most of Fox but lost out to Disney. During a call with investors last month, Comcast CEO Brian Roberts said his company is "focused" on Sky. "We think it's a great business," he added. "We think it's a great business, it will fit well, good use of capital. It's also unique." Disney isn't the only big name on this week's earnings agenda. Fox will also discuss earnings, and the Sky bid could be top of mind during that call, too. But when analysts question Fox executives Wednesday afternoon, they might also be interested in what will happen to the company once it downsizes. The "new Fox" will include Fox News, the Fox broadcast network, FS1 and FS2. Fox has already been laying the groundwork for that new company. Executives have spent much of this year snapping up the rights to broadcast franchises like "WWE Smackdown" and Thursday night NFL games. Another big media name reports Thursday: Viacom (VIA), the parent company of MTV, Nickelodeon and Paramount. CBS chief Les Moonves faces accusations of sexual harassment, casting his future in doubt. CBS has hired two law firms to investigate the claims. Meanwhile, CBS is locked in a legal battle with Shari Redstone, the majority owner of both CBS and Viacom. CBS is trying to lessen Redstone's control over the company after she pushed the two businesses to merge earlier this year. Whatever happens to Moonves and CBS could have big implications for Viacom and Bakish. Redstone favors Bakish, and wanted him in a top executive position at a merged CBS-Viacom. If Moonves is ousted, some analysts think the chance of a merger shoots back up again. And that could give Bakish an even higher profile.